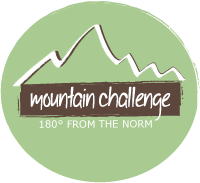 Mountain Challenge is the oldest college-based outdoor adventure program in the south. We are one of the 20 oldest programs in the country. Because of Mountain Challenge, Maryville College is among the Top 8 Outdoor Adventure Colleges and Universities in the mid-Atlantic and south regions of the country. AND – given the rising tide of physical inactivity in our country, 100% of the people that work here (including lots of students) do something to be fit. We call that being ALL IN. AND – we are ALL IN with environmental initiatives. Our collective efforts earned LEED Gold certification from the US Green Building Council for our Crawford House office. We are the 2nd oldest building in the country to hold that level of certification. AND, we are 1 of a small handful of Tennessee groups that holds a B Corporation certificate. Interested? Check it out: Mountain Challenge Student Staff.